Richell Rene “Chely” Wright is an American country music singer and gay rights activist. 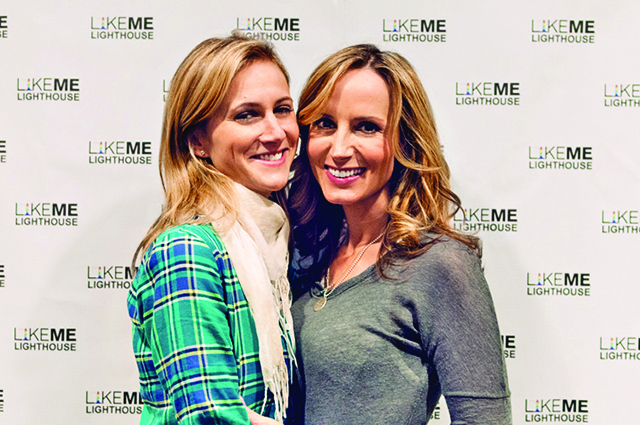 Know as Chely Wright, she struggled with coming out and decided to release the song “Like Me” on her album. The day she decided to come out, she was half way through the process making her album and she told her producer that she was holding back one song, that would reveal that she is gay. After she sent the song off to him, she decided to start writing her book to share her story called “Like Me”. Growing up in Kansas City, Missouri she could not find any other women who where like her. She talks about how you never know how you parents will react to you coming out. It warms my heart to hear that her father, who once thought being gay was “disgusting”, is now her biggest advocate. From going from fear and hatred for something her father probably did not know much about, to having great relationship and becoming a huge ally for her daughter. Learn to love unconditionally! It is important to share your story and to let other people out there know they are not alone! I love this message and can’t wait to pick up her book! After she came out she met her now wife Lauren Blitzer and they have twins, George and Everett who were born on on May 18, 2013. It’s really hard to leave these guys. Lauren and I are headed south for some R&R in the sun. Thanks Nana and G-Pa for holding down the fort. This entry was posted in Coming Out Stories, Uncategorized by Janey Grace. Bookmark the permalink.